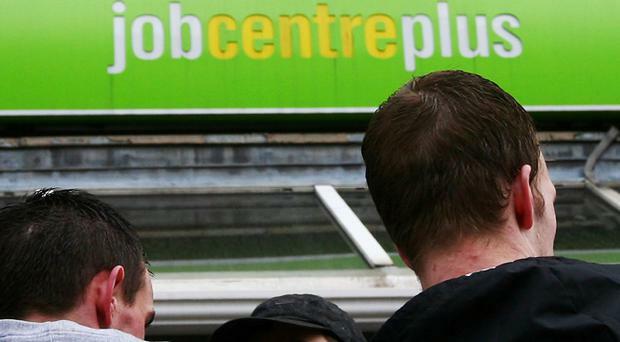 Falling unemployment in Northern Ireland has led to a rise in wages and more competition among employers for candidates with the right skills, according to research. Recruitment firm Hays said that while business sentiment has been dented by the lack of a functioning Executive and uncertainty over Brexit, nearly 70% of companies here expect business activity to rise in 2019, above the United Kingdom average of 61%. The annual Hays UK Salary & Recruiting Trends 2019 guide found that 80% of employers expect to hire additional staff in the next year, compared to a UK-wide average of 76%. Northern Ireland firms had the strongest hiring intentions of any UK region. However, 95% of employers here reported that they had experienced some form of skills shortage within the past year, against a UK average of 92%. More than two-thirds said the top recruitment challenge faced by their business is a shortage of suitable candidates. The skills shortage contributed to average salaries among the Northern Ireland employers surveyed rising by 2% in the past year, slightly higher than the UK average (1.9%). John Moore, managing director of Hays in Northern Ireland, said that in 2019 employers will need to interrogate their brand as employers and how they stand out from the competition, particularly in sectors such as technology, finance and construction. "Employers in Northern Ireland told us they are pressing ahead with business plans and are generally optimistic about the wider economic climate for the next two to five years," he said. "Recruitment expectations are at their highest levels for five years, for both temporary and permanent roles. "Increased competition for talent coupled with skills shortages has helped support above UK-average salary growth in Northern Ireland. "While that is positive for those seeking new employment it also has downsides, including negative impacts on productivity, staff morale and ability to deliver projects. "Given the intense competition and, at times, unrealistic salary requirements from candidates, it's never been more important for employers to understand the complex factors that influence movement of employees." He added: "Salary is still a top consideration, but candidates are now influenced by other benefits, such as life balance and career progression opportunities. "However, only 17% of employers surveyed saw work-life balance as a priority, compared with 30% of employees." Across the UK, the survey found the average pay increase was 3.2% for cyber security roles, 2.7% for developers and 2.6% for data and advanced analytics roles. By Ellie Donnelly BT is planning to exit the Irish market through a £400m sale of its BT Ireland unit, which provides services to corporate clients. By Margaret Canning The parent company of Northern Ireland jewellery business Argento has diversified into offices with a number of investments in Belfast city centre, Belfast Telegraph can reveal.